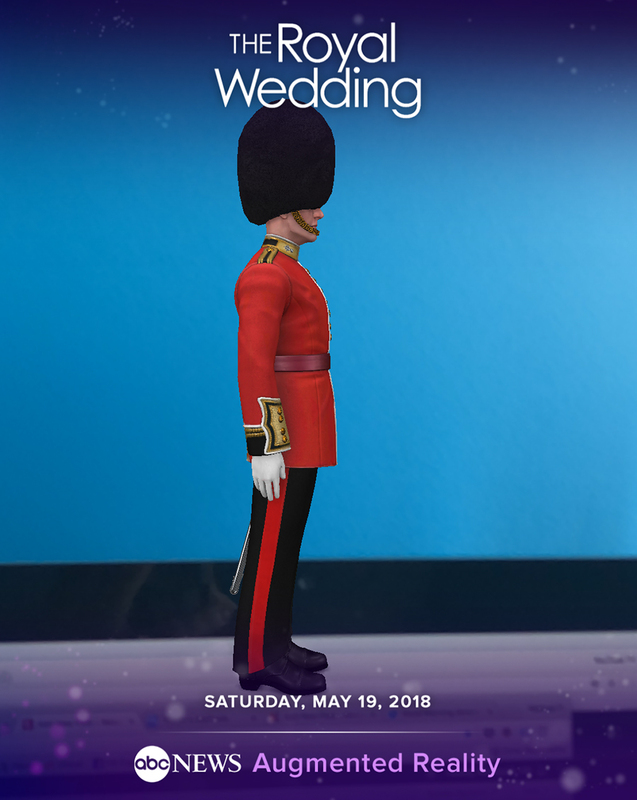 ABC News is adding an augmented reality component to its royal wedding coverage — and announced the feature with a bit of fanfare. 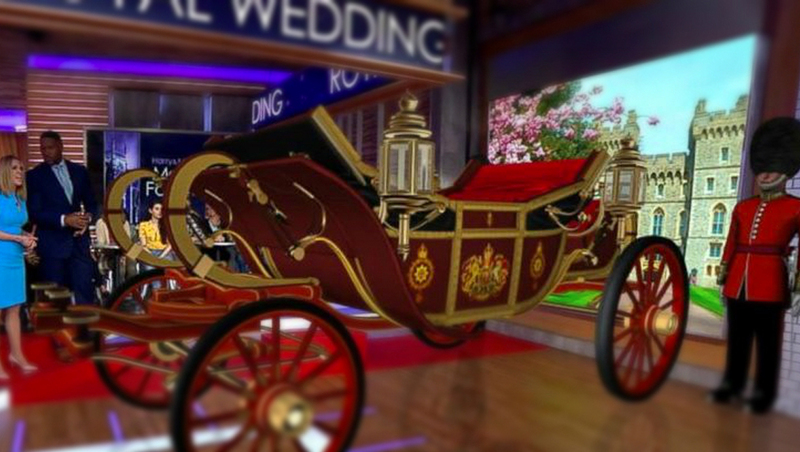 The experience, developed in partnership with Trigger, which has been added to the main ABC News app as part of an update, was announced on “Good Morning America” by having an augmented reality royal chariot come through a virtual “opening” in the wall of the show’s second floor studio — guarded by two virtual members of the Queen’s Guard. Those two 3D models are the two experiences available in the ABC News app. Using the AR experiences require you to quickly scan the floor of where you are standing — and then you can toggle between the two options. For example, here’s what the Queen’s Guard 3D model looks like perched on top of a monitor. Likewise, here’s the carriage on a desk. 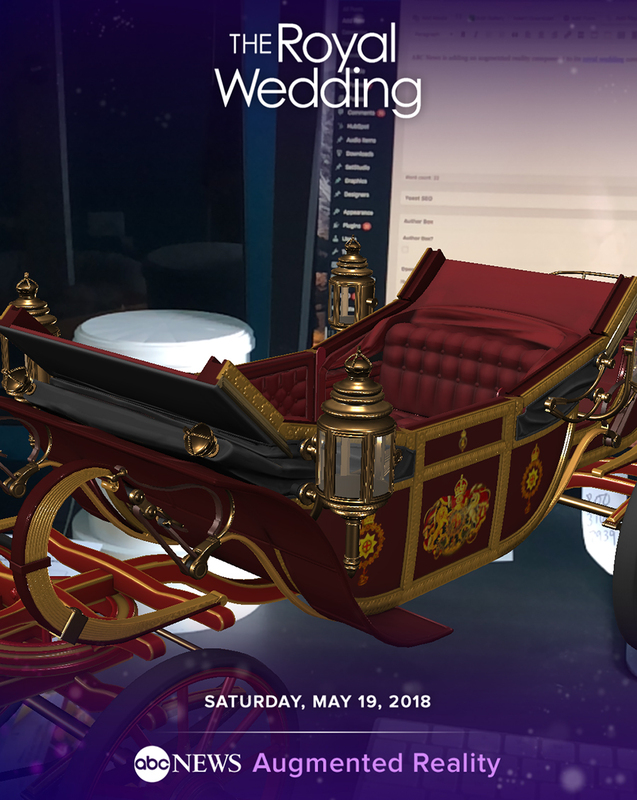 The app also lets you capture both video and still photos and exports them with the networks “The Royal Wedding” logotype on top and the a violet graphic below with the date of the big event. Overall, the AR experience is probably good for at least a bit of fun — especially for taking photos of friend standing next to the stoic guards with their iconic furry black headgear. The novelty will likely wear off fairly quickly — and very limited number of scenes makes the experience seem a bit incomplete.